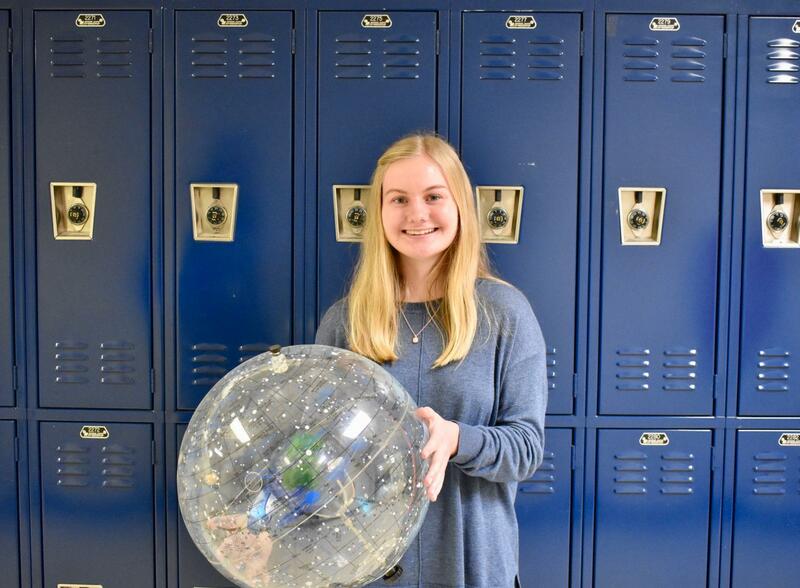 NC senior Rebekah Geil poses with a celestial sphere. Since a freshman-year trip to the U.S. Space and Rocket Center in Huntsville, Alabama, first piqued her interest, Geil has developed a passion for the world of space exploration. She now hopes to parlay her interest into a career as an aerospace engineer. For well over a century, space travel has occupied an unquestioned place in the American imagination. From Buck Rogers to Star Wars to The Martian, tales of interplanetary adventure have long graced screens across the country and the world. Throughout the 1960s and beyond, the National Aeronautics and Space Administration (NASA) and other such groups have sought to convert science fiction into reality, taking humankind to the moon and continually pressing the boundaries of science and exploration. The work of space exploration, accordingly, commands a reverence striking in its near-universality. The term “rocket science” has expanded to become an appellation for any exceptionally difficult or demanding pursuit, and films and novels ranging from Tom Wolfe’s The Right Stuff to James Michener’s Space, from Apollo 13 to First Man, cast those involved in the space program as among America’s most brilliant, resolute, and courageous sons and daughters. A career in the field would seem well beyond the reach of most high schoolers. NC senior Rebekah Geil, however, remains determined to leave an impact on the universe beyond Earth’s atmosphere and has made it her life’s aspiration. “[My love for space] sort of happened in ninth grade. I went on a trip with my family to the U.S. Space and Rocket Center and had a really great time and everything. I just sort of fell in love with it,” Geil said. From that moment on, Geil resolved to seek a career in the world of spaceflight—and, determined to begin as soon as possible, she quickly discovered a path to doing so. Using her long-standing passion for and knowledge of science as a doorway into the field, she began to research opportunities for involvement as a high school student in the aerospace industry. “I was searching on NASA’s website for student opportunities there, and they have this program called CELERE, which involves capillary action. I entered the contest, and I got into it through that channel,” Geil said. Geil’s CELERE (Capillary Effects on Liquids Exploratory Research Experiments) project proved an unmitigated success. Early in November of this school year, she traveled to Washington, D.C. to present her research to NASA scientists and others at the American Society for Gravitational and Space Research (ASGSR) conference. “I designed two channels for fluids to flow through in microgravity, and then I sent the designs in. They made the channels and then dropped it from the drop tower, then they emailed me back the pictures and the videos of that, and then I was able to analyze it with motion detector software and got some graphs from it,” Geil said. Her discovery, she said, offers designers and engineers a new and more efficient method of circulating fluids throughout a spacecraft. “In the channels in a spacecraft or any space system, they have liquids flowing through. I found that if they want to accelerate the fluid, then using sharp turns is good, but it comes with the tradeoff of having more disturbance in the fluid, so if it’s a really dangerous chemical or something that can’t be mixed up a lot, then you shouldn’t use that to accelerate it,” Geil said. Taking inspiration from her research experience, Geil, who currently sits at the top of her senior class, now hopes to study engineering at college before joining NASA or another organization as an aerospace engineer. 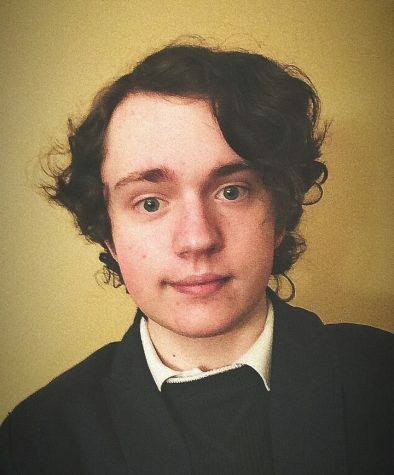 “I find out about [admissions decisions for] Massachusetts Institute of Technology (MIT) in March, but if not, then I’ll be really happy to go to Georgia Tech,” Geil said. Through her continued dedication and engagement with the world of spaceflight, Geil hopes to find a place for herself in humanity’s ongoing endeavor to explore the universe beyond its native planet. Whatever the old axiom may say, then, the sky, for Rebekah Geil, is most certainly not the limit.